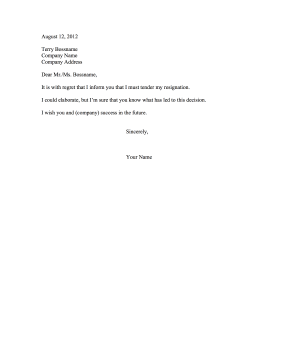 This simple, generic resignation letter can be used for any position and any employment situation. It is with regret that I inform you that I must tender my resignation. I could elaborate, but I'm sure that you know what has led to this decision. I wish you and (company) success in the future.